A native of Tucson, Arizona, James Supp has been an avid collector of antique tools for over 25 years. He's not simply a collector, though, as he actually uses his tools, restoring artifacts and producing finely crafted reproductions using authentic methods. With his skills as an artisan, James has restored and reproduced everything from ancient Roman surgical tools to 16th-century German costumes, and even Picasso sculptures. James started in the field by reproducing medieval armor, and has since gone on to study many aspects of material culture, specializing in the study of pre-industrial manufacturing methods. He has a breadth of knowledge and speaks on varied subjects from the history of playing cards to the evolution of footwear. The stranger and more esoteric the subject, the more it fascinates him. He then began working estate sales between Phoenix and Tucson. Estate sales provided James with the opportunities and exposure to a wide variety of antiques as well as the ability and experience of organizing and managing estate sales of all variety. James then went on to collaborate as a host on the Antiques Roadshow. His notoriety among the antiques scene has afforded him opportunities to conduct major collection appraisals in Texas, California, New Mexico, and Montana. 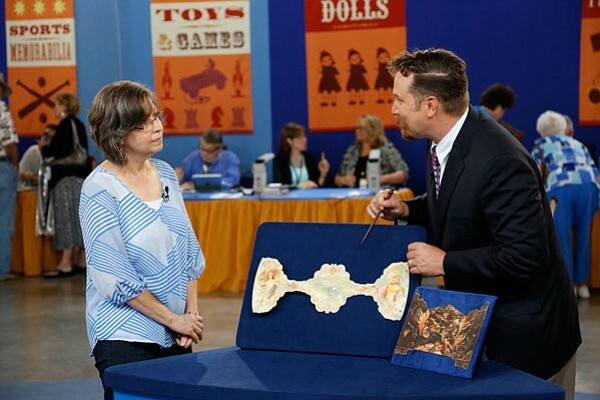 With the Antiques Roadshow he has travelled throughout the United States connecting with major antique collectors as well as dealers. He has formed a network of connections that allow him to efficiently appraise an item and then find a seller in a timely manner. The ease of which he works will leave clients with the peace of mind that their valuables will be handled with care in the most professional way. James resides in Coeur D'alene, Idaho with his wife and three wonderful children.